As a young boy Hashmatullah and his father were walking through Darulaman [a suburb of Kabul], Hashmatullah in front, when the father shouted: 'Look out, there's a mine!'. The words were no sooner out of his mouth than there was a terrific explosion right beside Hashmatullah, wounding him in both legs and seriously injuring his father who died two days later. By some miracle, Hashmatullah survived but he lost almost the whole of his right leg it was amputated just below the hip and half of his left leg, amputated above the knee in what is known as an AK When he first came to our clinic, Eleanor Gall and our then Field Director saw him and despite one of our technicians saying that nothing could be done for him, insisted on his being re-examined. Since then he has had several pairs of legs as he continued to grow, but he still has some discomfort in his right hip. His father's death had left him as head of the family. His mother went to work as a cleaner, and his four sisters attended a local school. But when the Taliban arrived in 1996, his mother was forced to stop working and to emigrate to Pakistan with her daughters. She managed to get a job as a school cleaner in Haripur, north of Islamabad. Hashmatullah stayed on in Kabul, struggling to keep himself by doing odd jobs in the bazaar. He never went to school, but he survived and was able to send a little money to his mother and sisters. He also learned a little English. Sandy Gall was delighted to discover that Hashmatullah had recently been taken on as SGAA's receptionist in the Kabul Orthopaedic Centre [KOC], where he registers all new patients and records their details. Malek's story is, alas, all too common. On his first day working in a UN-sponsored bakery near his home in Kabul, he went out for a breather and stepped on a mine. Struggling to safety he stepped on a second mine. Two men, alerted by the explosions, threw him a long scarf with which they pulled him to safety. Both Malek's legs had to be amputated above the knee. I happened to be in Kabul last September (2005) when he came in for treatment. After treatment at KOO he now has a wheelchair and a pair of prostheses (artificial legs) and has a private tutor to help him catch up with his schooling. Malek subsequently went to the United States for further surgery and is now back in Afghanistan and working as a hotel receptionist. Abdul Hadi lost both legs clearing mines for the mujahideen about 15 years ago. We made him two prostheses in our clinic, then in Peshawar, and after the war he went back to work as a builder in Kandahar, the capital of the south. Over the years he repaired and patched them himself until he could repair them no more. 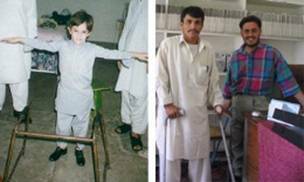 He then asked his boss for time off to take the bus 400 miles to our clinic in Jalalabad, where some of the same technicians who had made his original prostheses made him a new pair. He proudly told Fiona, our Consultant, he would be soon be back at his old job of carrying hods of bricks up ladders. 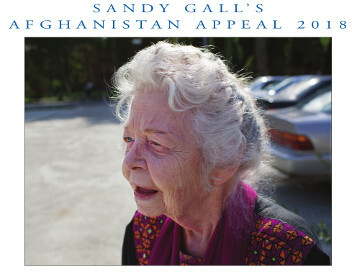 Charles Moore travelled to Afghanistan with Sandy Gall to see the charity in action. John Fixsen FRCS has written an article. The next two years are going to bring great changes to Afghanistan. 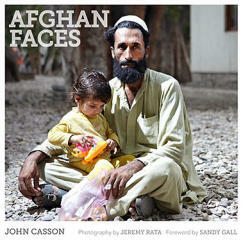 Afghan Faces is a high quality publication reflecting upon the daily lives of Afghan people through their faces.